While these new Chromebooks are elegant and higher-end, they are not powerhouses. You can choose between an Intel Core m3 x86_64 (Pro) or Hexa-core ARM processor (Plus). These chips should prove very capable for the Chrome OS Linux distro. Thankfully, the laptops come with 4GB of RAM as default; believe it or not, some manufacturers are still trying to sell machines with 2GB -- a sin. 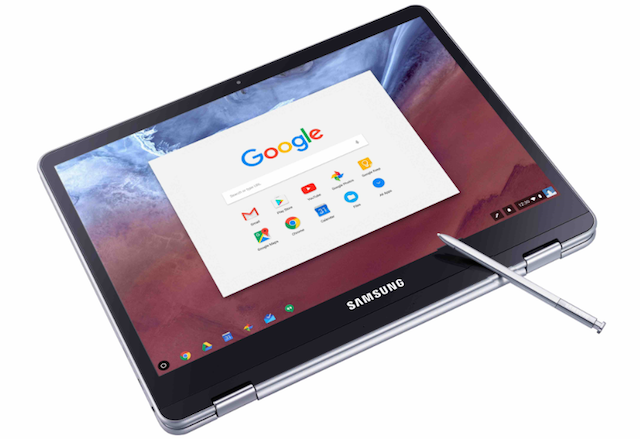 "For the first time in the Chromebook lineup the Chromebook Plus and Pro come with a built-in pen, which is embedded on the side of the device for secure storage and easy access. The pen takes convenience to another level with tablet-like benefits, such as the ability to effortlessly take notes and capture on-screen content. The pen is ready to use out of the box with pre-installed Google Keep for notetaking and Samsung ArtCanvas for drawing. The newly developed pen has a 0.7mm pen tip and pressure sensitivity for precise screen capturing", says Samsung. A stylus? With a Chromebook? Yeah, it seems weird, but please know that both the Pro and Plus can also run Android apps and have Google Play support. The pen should prove very useful when running those mobile apps. Sadly, the Android support will be in Beta -- disappointing for a consumer device, but expected from Google. 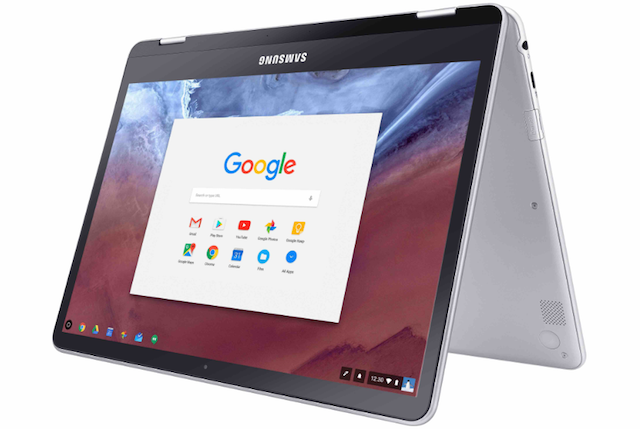 The Galaxy-maker explains, "The new Chromebook isn't just a laptop, or tablet -- it's a connection to a world of experience including apps, games and media, all through the Google Play Store. Delivering a stunning, immersive Quad HD 2400×1600 resolution display made of durable Gorilla Glass 3, with a 3:2 aspect ratio -- users can game, work or binge-watch on Samsung’s best Chromebook screen". Samsung shares the specifications below. Other than the processor, they seem to be identical. The ARM-powered Chromebook Plus will be the first to market, launching in February with a starting price of $449. The Intel-powered Chromebook Pro is expected to be more expensive; it has a less definitive release date -- Samsung just says "Spring." What do you think of these new Chromebooks? Tell me in the comments.